This is what Inclusion is all about! Adaptive Kickball and Soccer begins in September! Adaptive Basketball Starts in January! Have a great Holiday Season and see you the first Saturday in January! Here is the registration link! NFL Former Players Inclusion Camp! Enjoy and we are blessed for all the chidlren who participated! 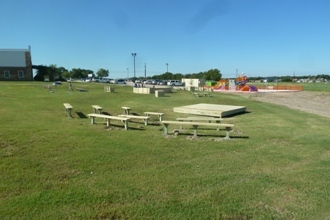 Our brand new ADA Playground will be built this Saturday!